2016 was a big year for bike share. New systems opened, older systems strengthened their community outreach, and national partners developed new resources. Here are the top 10 posts you should read from our blog to understand this year in bike share equity. First and foremost, community outreach and inclusion efforts diversified bike share ridership this year, and helped all kinds of people get where they needed to go. Cities such as Atlanta, Chicago, Minneapolis, and many more have made diverse ridership a central program goal. Image courtesy of Darren Burton. Philadelphia has been the flagship city for bike share and equity since its launch, and 2016 was no different. The city broke new ground this year in offering a 67 percent discount on Indego bike share memberships to all Philadelphia residents who qualify for food assistance. Philadelphia’s system also set the standard of removing sign-up barriers among unbanked and time-strapped individuals by providing a simple way to sign up with cash using PayNearMe. 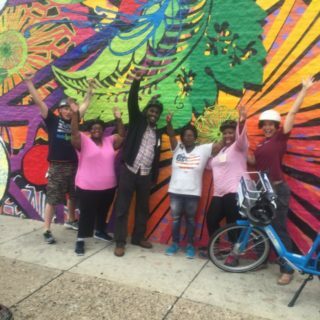 Nothing quite captures the power of community outreach like this interview with Shaquana Boykin, program manager for the Healthy Communities Initiative at the Myrtle Avenue Brooklyn Partnership (MARP). 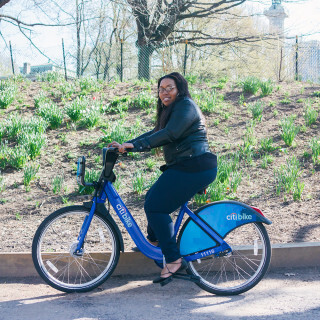 She shares how community partners were invaluable in helping her realize she could get a subsidized Citibike membership as a public housing resident, as well as in helping her integrate the bikes into her routine. 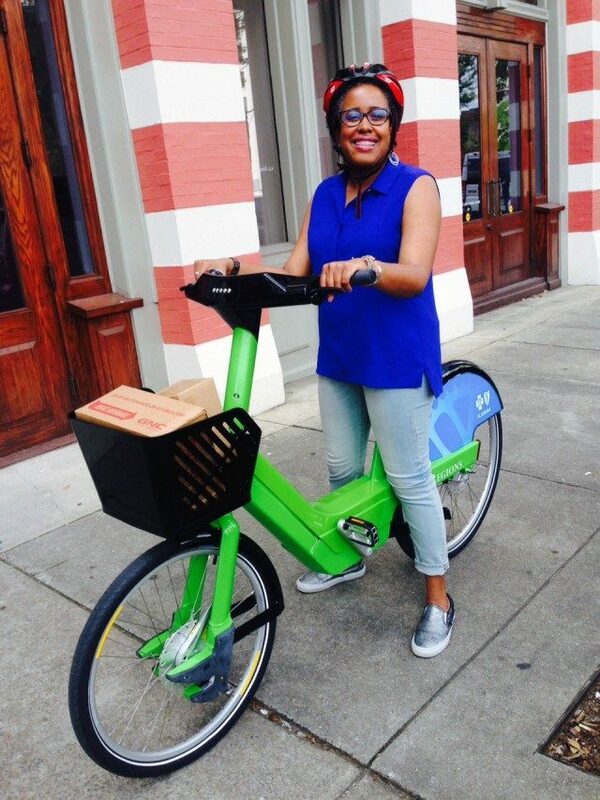 The wonderful community-based work of bike share advocates, as well as research from national partners led to 2016 also being a year of lessons learned in bike share equity. This year, the bike share equity community reaffirmed the importance of density in station planning. There may very well be good reasons for trying to expand bike share into marginalized communities on a city’s outskirts. However, transportation experts explained that expanding outward from a dense center is the preferred model for maximizing ridership. 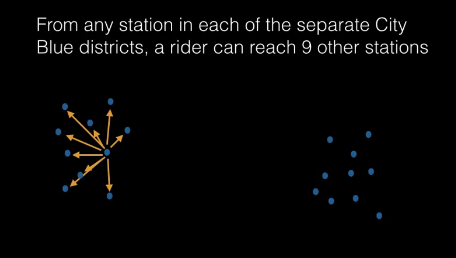 The balance between bike share station breadth and depth is a tricky one. Image courtesy of Kate Fillin-Yeh/NACTO. 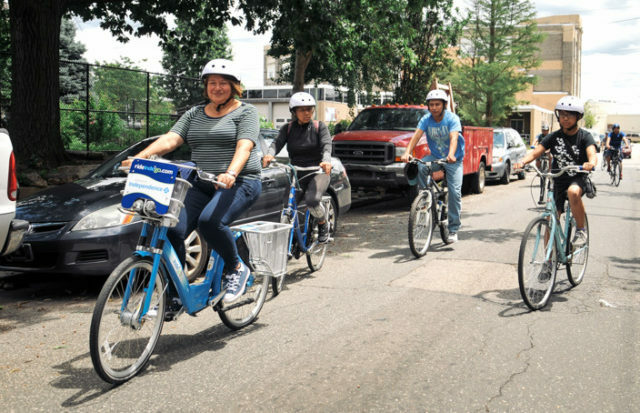 A 2016 report from the National Association of City Transportation Officials (NACTO) showed that street safety is important when diverse communities are deciding whether they will use bike share. Blacks and Latinos are more likely to die while biking, when compared to other demographic groups. And research shows that adding features such as protected bike lanes encourages people of all backgrounds to ride. This year bike share equity stakeholders had several opportunities to attend convenings for sharing strategies and highlighting best practices. While we mention two events here, there were other national conferences that discussed bike share equity as well, such as those hosted by the North American Bike Share Association and by NACTO. Image courtesy of Ink Factory/Better Bike Share Partnership. The 2016 Better Bike Share Partnership hosted a convening to focus specifically on the topic of bike share equity. 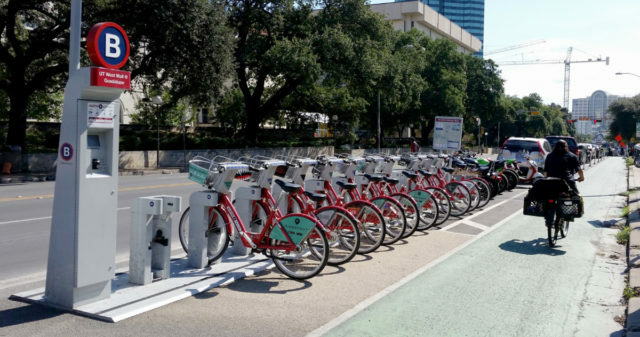 The conference brought together more than 100 city officials, bike share operators, community-based staff, and nonprofit professionals who covered both technical and program-related topics. 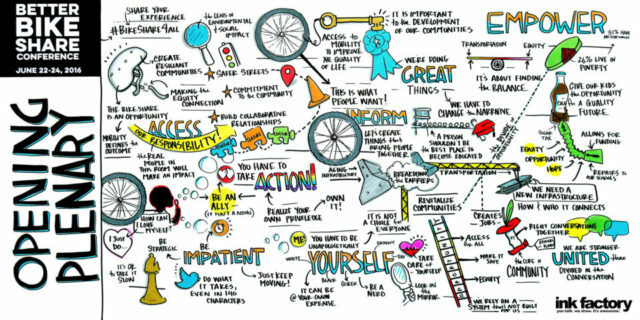 Don’t miss the six graphic recordings that explain the various conference tracks. Also, take a look at NACTO’s video coverage of the event. Another important convening this year was The Untokening conference, held immediately after the Facing Race conference in Atlanta. 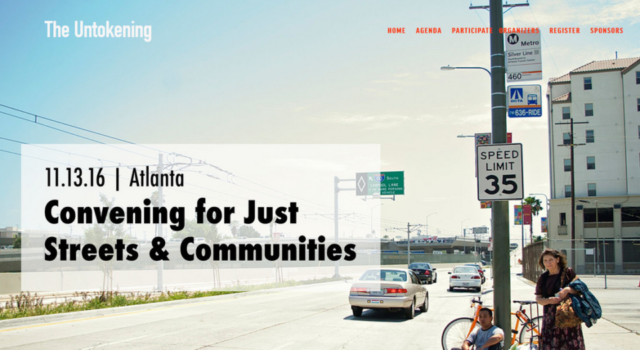 The Untoking was a nontraditional conference, where advocates who have struggled to get issues of equity included in broader transportation conversations had the chance to connect. 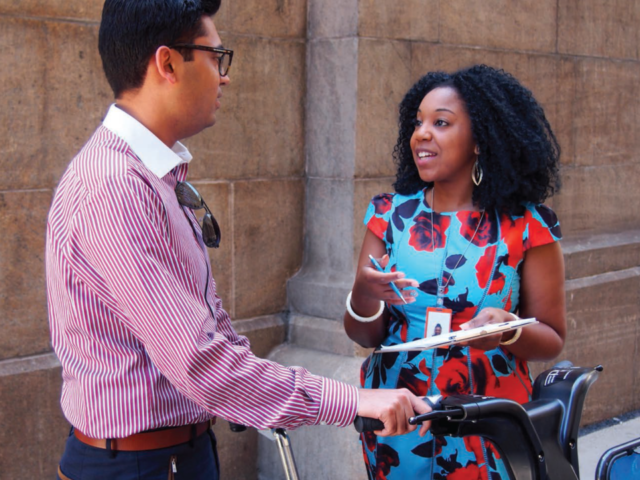 This year also saw the development of new resources for bike share stakeholders to use in their work. 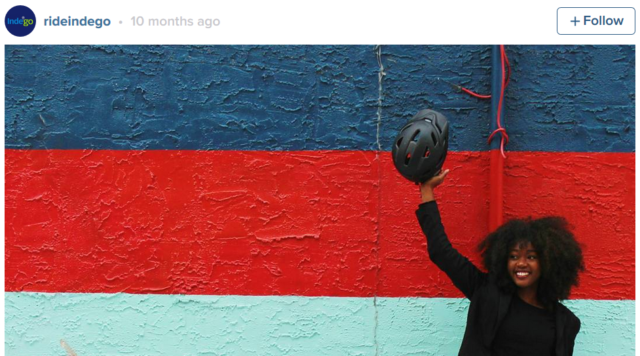 Kiera Smalls, community engagement manager for the Indego bike share system in Philadelphia, shares tips on how to hand over the Instagram reins to a community advocate or staff member for the day. If planned well enough, the technique can bring in hundreds of new diverse followers. 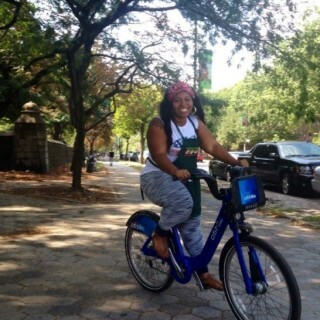 8) Who’s riding your bike share? Some tips for finding out. NACTO’s Bike Share Intercept Survey Toolkit is a valuable resource to any bike share system or community group that wants to better understand its member demographics (as well as why some people don’t use a system). 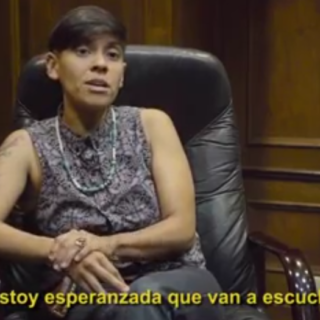 The Toolkit is meant to be an accessible resource, with ready-made questions that are also translated into Spanish. Outside of day-to-day work, bike share companies and other stakeholders kept their eyes open for future trends. Not everyone can easily pedal up a hill on a heavy shared bike, and some cities are inherently steeper to navigate no matter how athletic the rider. However, new bike share models that rely on electric assist mechanisms, such as Boost, might help encourage reticent or physically-challenged riders in the future. This is particularly important for equity, given that low-income communities show higher average obesity rates. Finally, it’s important to remember that bike share engagement is a year round project, rather than a one-off goal. One of the biggest questions in bike share engagement is what to do once the weather turns cold and cyclists aren’t quite as motivated. It turns out there are several strategies for maintaining engagement and for working with the seasons rather than against them.